(June 24, 1901 – September 3, 1974) was an American composer. He was one of the first twentieth-century composers to work extensively and systematically with microtonal scales, writing much of his music for instruments he built himself, tuned in 11-limit just intonation. 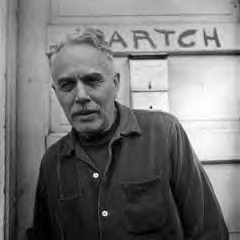 Harry Partch was born on June 24, 1901 in Oakland, California. Both his parents were Presbyterian missionaries. He learned to play the clarinet, harmonium, viola, piano and guitar as a child. He began to compose at an early age using the equally tempered chromatic scale normal in recent western music, but burned all his early works after becoming frustrated with what he saw as the imperfections of that particular system of musical tuning and its inability to reflect the subtle melodic contours of dramatic speech. 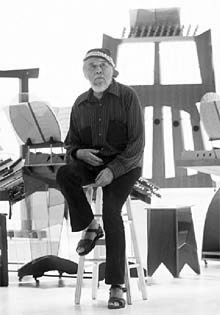 Interested in the potential musicality of speech, Harry Partch found it necessary to build instruments that could underpin the intoning voice and develop notations that accurately and practically instructed players what to play. He first instrument was the Monophone later known as the adapted viola. He then secured a grant, which allowed him to go to London to study the history of tuning systems and word-setting. While there, he met the poet W. B. Yeats with the intention of gaining his permission to write an opera based on his translation of Sophocles’ Oedipus the King. He accompanied himself on the Monophone while intoning By the Rivers of Babylon and also transcribed the exact inflections of actors from the Abbey Theatre reciting lines from Oedipus. 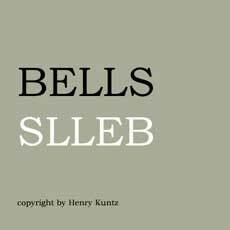 Yeats was enthusiastic, saying “a play done entirely in this way, with this wonderful instrument, and with this type of music, might really be sensational”, and giving Harry Partch’s idea his blessing. 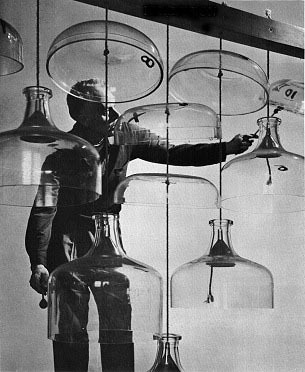 Harry Partch set about building more instruments with which to realise his opera. However, his grant money ran out, and, back in the United States at the height of the Depression, he began to live as a hobo, travelling around on trains and taking casual work where he could find it. 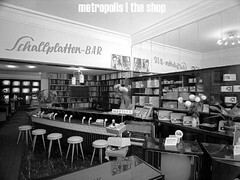 He continued in this way for ten years, writing about his experiences in a journal named Bitter Music. 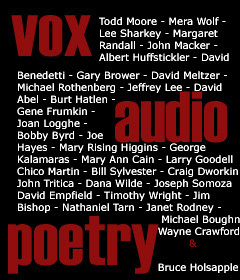 The entries frequently include snatches of overheard everyday vernacular speech notated on musical staves according to the pitches used by the speaker. This technique (which had been earlier used by the Florentine Camerata, Berlioz, Mussorgsky, Debussy, Schoenberg, Leos Janacek and others (and would be later used by Steve Reich) was to become a standard approach to vocal parts in Harry Partch’s work. 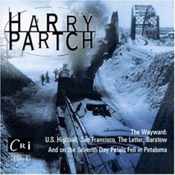 In 1941, Harry Partch wrote Barstow, a work that takes as its text eight pieces of graffiti he had seen on a highway railing in Barstow, California. The piece, originally for voice and guitar, was transcribed several times throughout his life as his collection of instruments grew. 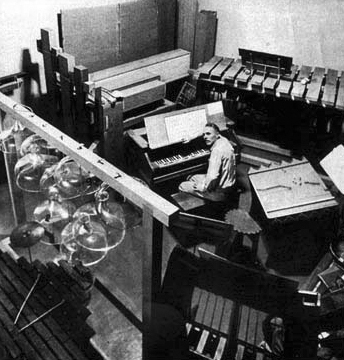 In 1943, Harry Partch received a Guggenheim grant, and was able to settle down somewhat and work with more dedication on the music. He returned to his Oedipus project, although the executors of Yeats’ estate refused permission for him to use Yeats’ translation, and he had to make his own recording with Yeats’ translation has since been released, Yeats’ text having passed into the public domain. While living briefly in Ithaca, New York he began work on US Highball, a piece that used many of his jottings from his hobo years as text. 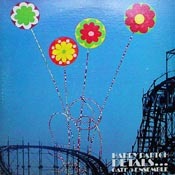 The work is, essentially, the story of a hobo’s trip from San Francisco, California to Chicago, Illinois, a journey that Harry Partch had himself undertaken. 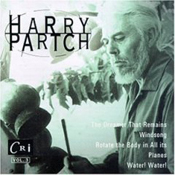 Since 1923 Harry Partch had been working on a book, eventually published as Genesis of a Music in 1949. 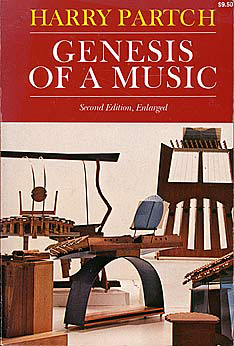 It is an account of his own music, with discussions of music theory and instrument design. It is considered a standard text of microtonal music theory and expounds his concept of Corporeality; the fusion of all artforms with the body as its central focus. 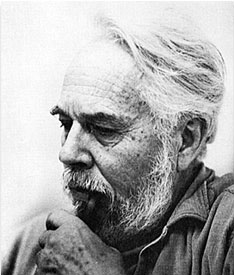 Due to peculiarities of media reporting, Harry Partch is famous for his 43-tone scale, even though he used many different scales in his work and the number of divisions is theoretically infinite. 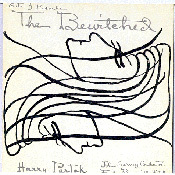 Harry Partch went on to write The Bewitched, a sort of cross between a ballet and an opera and Revelation in the Courthouse Park, a work based in large part on Euripides’ The Bacchae. 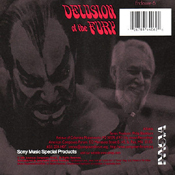 Delusion of the Fury (1969) is seen by some as his greatest work. 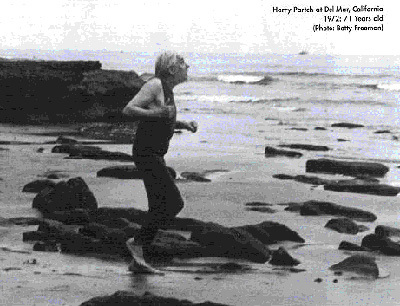 He died on September 3, 1974 in San Diego, California of a heart attack. 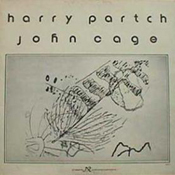 Harry Partch ran his own record label, “Gate 5”, to release recordings of his works and generate income. Towards the end of his life, Columbia Records made recordings of some of his works, including Delusion of the Fury, which helped in large part to bring him to the attention of the musical world. He remains a somewhat obscure figure, but is well known in experimental, instrument-building, and microtonal circles, where he is considered by many to be one of the most significant composers of the 20th century. 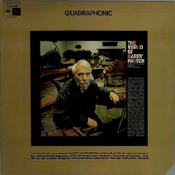 Harry Partch’s desire to use a different system of tuning required him to drastically modify existing instruments and build new ones from scratch. He was, in his own words, “a philosophic music-man seduced into carpentry”. His “adapted” instruments include the Adapted Viola, a viola fitted with a cello neck to allow more accurate intonation, and the Adapted Guitar, a guitar with the equal tempered frets replaced by a complex system of justly tuned frets. He retuned the reeds of several reed organs and labeled the keys with a color code. The first one was called the Ptolemy, in tribute to the ancient music theorist Claudius Ptolemaeus, whose musical scales included ratios of the 11-limit, as Partch’s did. The others were called Chromelodeons, a portmanteau of chrome (meaning “color”) and melodeon. * The Diamond Marimba was a marimba with keys arranged in a physical manefestation of the 11-limit tonality diamond. * The Quadrangularis Reversum was an inverted Diamond Marimba with auxiliary keys on either side. * The Bass Marimba and the Marimba Eroica had more traditional linear layouts. * The Mazda Marimba was made of Mazda light bulbs and named after the Zoroastrian god Ahura Mazda. * The Boo was made of bamboo. * The Cloud Chamber Bowls were glass bowls from a cloud chamber, suspended in a frame. * The Kitharas (named after the Greek kithara) were large upright stringed instruments, played by sliding pyrex rods along them and plucking. 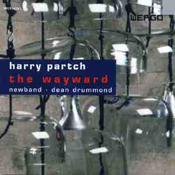 Their sound is one of the most unmistakable in Partch’s music. * The Harmonic Canons (from the same root as qanún) were many-stringed zithers with a complex system of bridges. 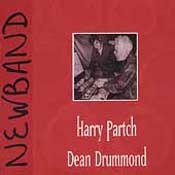 In 1990, Dean Drummond’s Newband became custodians of the original Harry Partch instrument collection, and frequently perform with and commission new pieces for Harry Partch’s instruments.